The Crimson Rosella (Platycerus elegans), pictured left, is a beautiful bird. The word elegans in the scientific name refers to this fact. 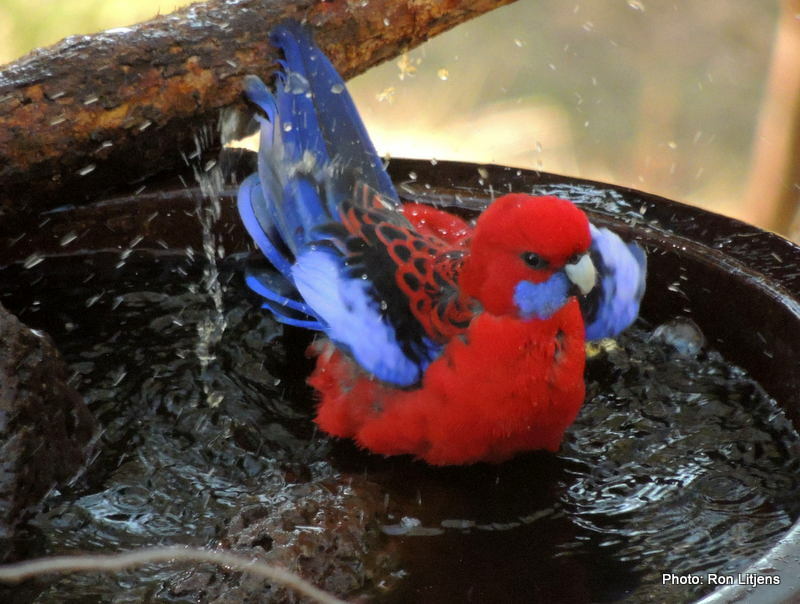 On an elevated, wooded bush block such as ours, these are the only rosellas that visit our birdbath. Not 500 metres away down the valley in the open pasture land, Eastern Rosellas (Platycerus eximius) rule. But not up here. Normally our birdbath is frequented by quiet and sedate pairs of adults, sometimes with juveniles in tow, quietly chattering to each other. The adult and juvenile Crimson Rosellas have markedly differently coloured plumage. As stunning as the crimson of the adult plumage is I think the juvenile plumage of red, green and turquoise is just as striking (pictured right). 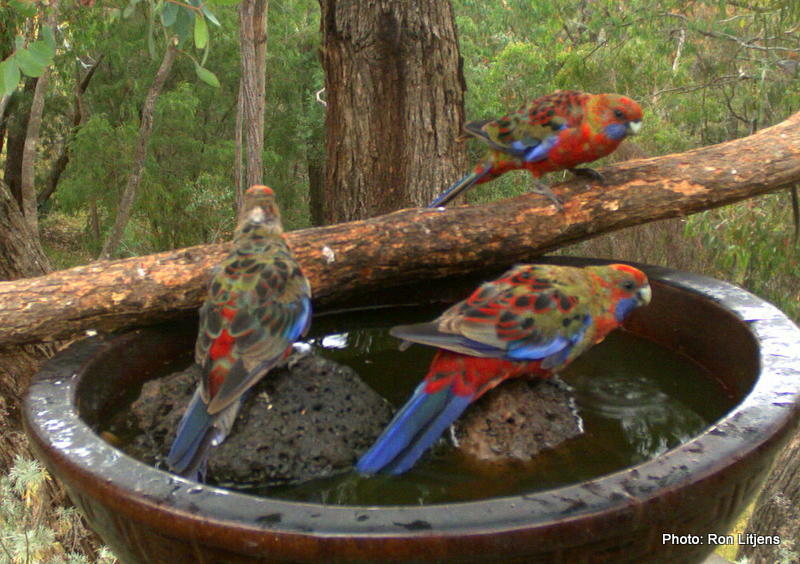 For the past month, especially in the late afternoon, our birdbath has been invaded by boisterous groups of sub-adult rosellas. They travel in flocks of half a dozen or more, are loud and extremely active, and usually use the bath as a diving pool. We call them the teenagers. Their plumage is starting to transition from the green juvenile feathers to the crimson feathers of the adult. They have a manky and moth-eaten appearance (as a lot of teenagers do) when patches of crimson feathers start to appear all over the body. It looks like a form of avian acne.